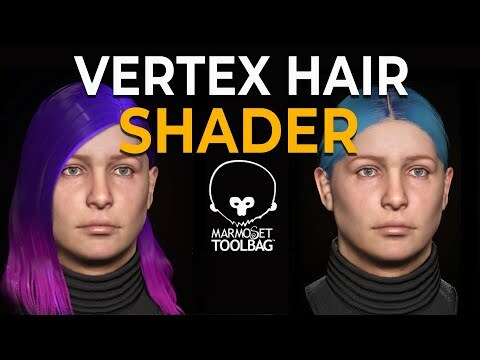 I created this shader to play around with some hair variations on my current wip model, I see this being of interest to other users as you have the ability to quickly create different colours and styles. It utilizes vertex colours RGBA to mask out areas of hair and give the user the ability to specify a colour and how strong the effect is. It can be used to subtlety add variation or strongly for stylized visuals. Works well with an already existing albedo texture, or can work with a flat colour as well. 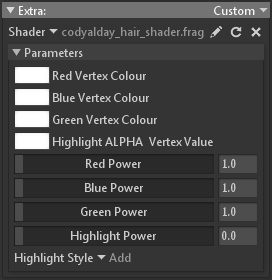 Ideally would benefit most with a grey scale albedo texture with variation in lights and darks, with the overall tone around 128 grey, similar to a detail map. Let me know how it goes, and if there are any issues!